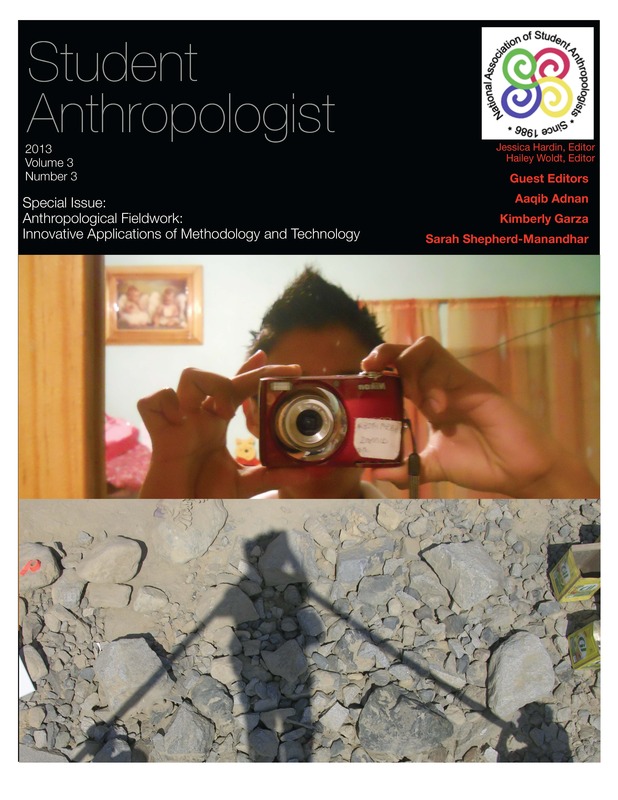 These articles represent a diversity of methods, regions, and sub-disciplines of anthropology. Two prominent themes have emerged from this collection: the enduring importance of methodological innovation in ethnographic and anthropological research and the relevance of these methods towards cultivating an understanding of politics, and in particular cultural politics. These articles are vastly different in their approaches, theories, and arguments. However, each engages with pressing social and political issues and as such represent the expansiveness of student ethnography and anthropology. To truly remain a holistic field, we must constantly update our perspectives and our methodologies. We must continue to look far afield for new discoveries, techniques, and technologies that allow us to continue to consider “the science of humankind” in a new light. It is our wish that this special issue will inspire you to do just that. This collection of articles is not an end, but a beginning. While we hope that reading these articles will help you to expand your methodological toolkit, the issue will have fulfilled its purpose if it encourages you to consider new methodological combinations, or to look to other departments and fields in pursuit of ideas and methodologies that can further our shared commitment to understanding humankind in all its complexities.